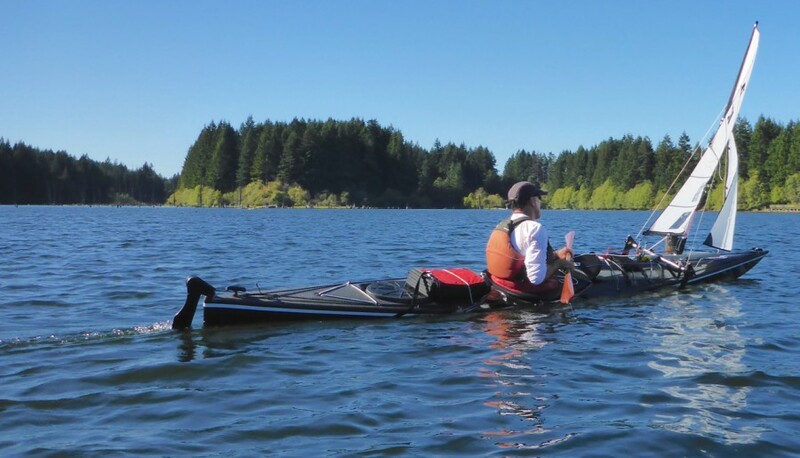 We wouldn’t be without our rudder on our “Old Town Twin Otter” kayak when we are long distance paddling and loaded with camping gear, but not sailing. In these situations we both prefer to use single beaver blade ash paddles. 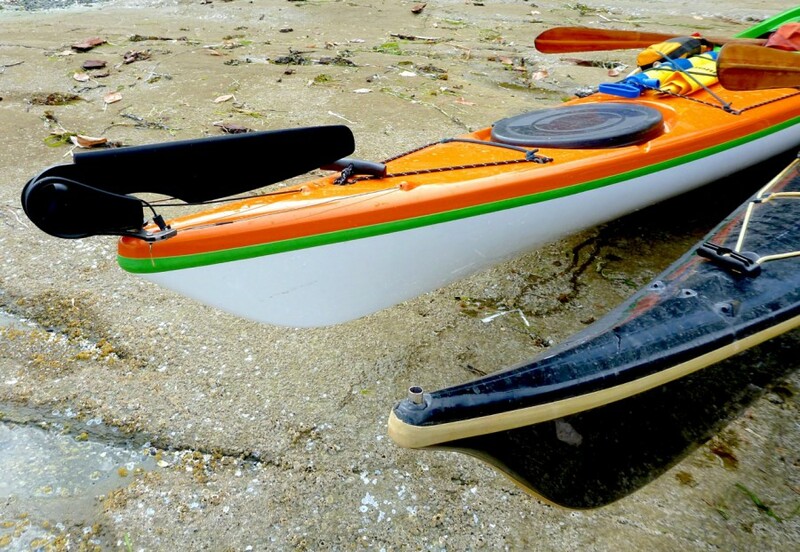 Because of the rudder, each paddler with a single paddle can paddle on whichever side they prefer and can change sides when they want without adversely affecting their partner. 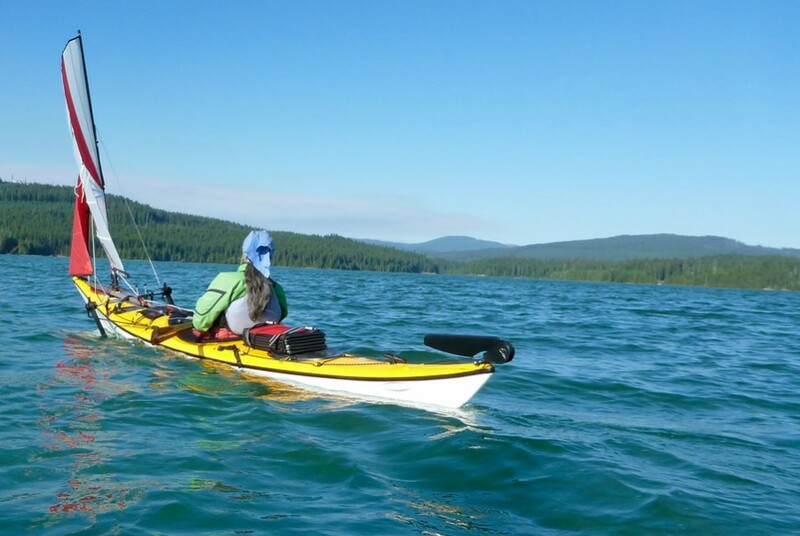 However, when sailing double with our Kayak Sailor rig, and using the rudder, the forward paddler controls the rudder and paddles with an Aleut double paddle while the aft seated crew does not paddle. Thanks for the comment. 🙂 Yes, each boat has it’s own personality. Auch als angefressen Finn Segler versuche ich mein Boot ohne Ruder zum steuern. Luven mit Kränkung im Lee, und abfallen gegen Luv. Ich denke am Bordseite ein Paddel befestigen wäre optimal. Congratulation für die Realisation vom Rigg Kayaksailor bin total begeistert. I am purchasing a Pelican Unisom 136 tandem Is there a rudder unit that will work on it and how much is it. The kayak sail on this sight is it easy to install and how much is it. I love sailing my kayaksailor on Long Island Sound. But I have found that when a 15 kt gust hits I often need to headup fast in order to keep from going over. Bracing with the paddle on the leeward side makes things worse. Also, riding the small waves is a thrill, but should be even more fun with a rudder. I am in the process of installing the Perception rudder kit on my 14′ Catalina. Wish my arms were longer.